With its creation in 1990, the .40 caliber round is one of the youngest, but also one of the most popular. It was originally created by Smith and Wesson and Winchester for law enforcement in response to the FBI’s need for a better carry option for their agents. Today, it’s been adopted not only in most law enforcement circles but also in the military, with operators such as Delta Force considering it their caliber of choice. 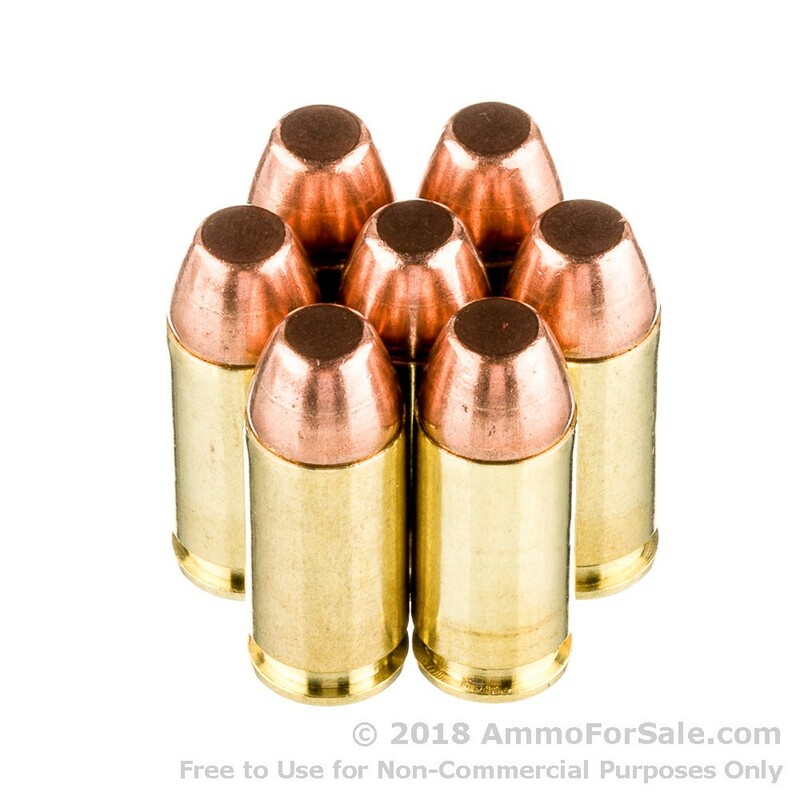 It is true the .40 is a slightly shorter version of its parent round, the 10mm, but it is also true it has superb knockdown power with less recoil. 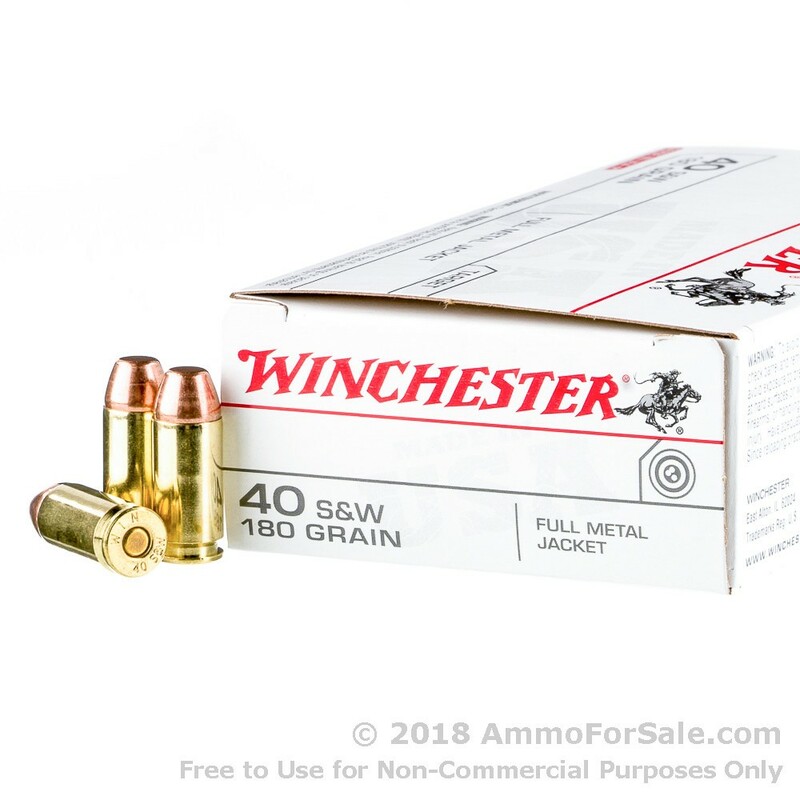 This particular ammunition is made by Winchester, a company famous for its part in creating The Gun that Won the West, the lever-action rifle. They’ve been around since 1866 and all production takes place right here in America. In fact, their headquarters in Alton, Illinois, include a range that’s open 7 days a week and NILO Farms, a premier 640-acre hunting and shooting facility. Winchester’s dedication not only to producing top-tier products but to educating shooters and participating in their own hunting preserve and game management is evident in everything they do. At 180 grain this is fairly heavy for the caliber, which lends to its ability to rip through targets. It has a muzzle velocity of 990 feet per second, so it’ll reach its destination in no time. And with a muzzle energy of 390 foot-pounds, you can be sure it’ll put a good hole through paper and cans. 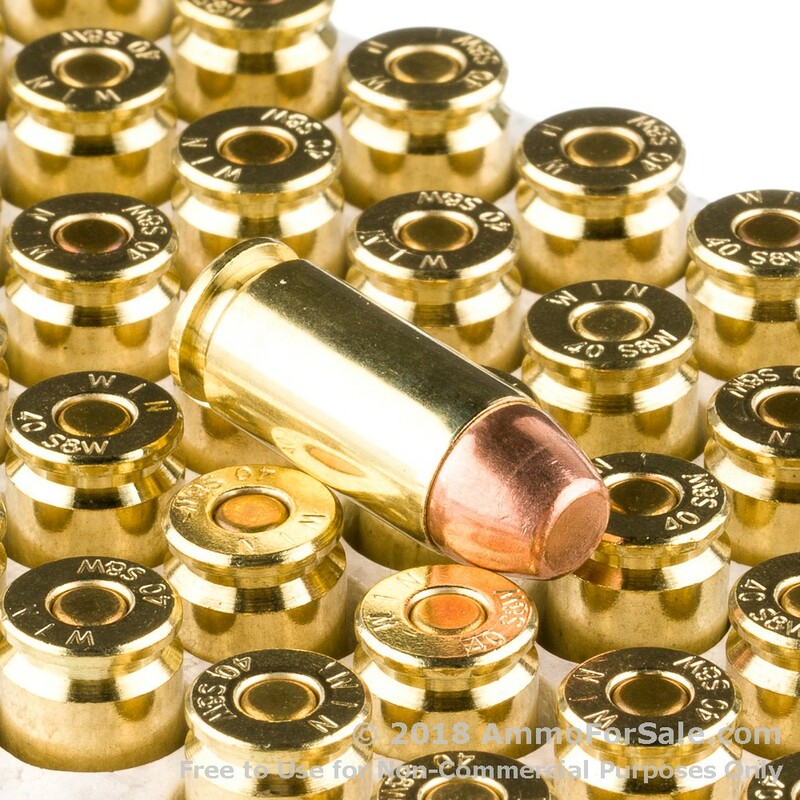 These are FMJ rounds which are best for target practice, tactical training, and plinking. You get 50 rounds in the box so you can spend some quality time with your favorite handgun. 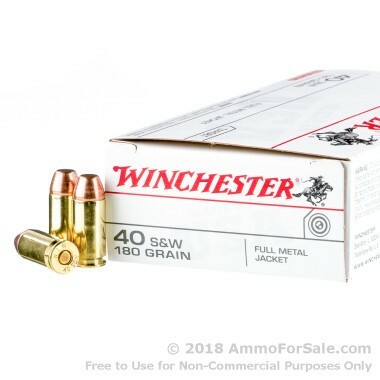 These also come in fresh brass cases, so you can reload them. So what are you waiting for? Get your order in!